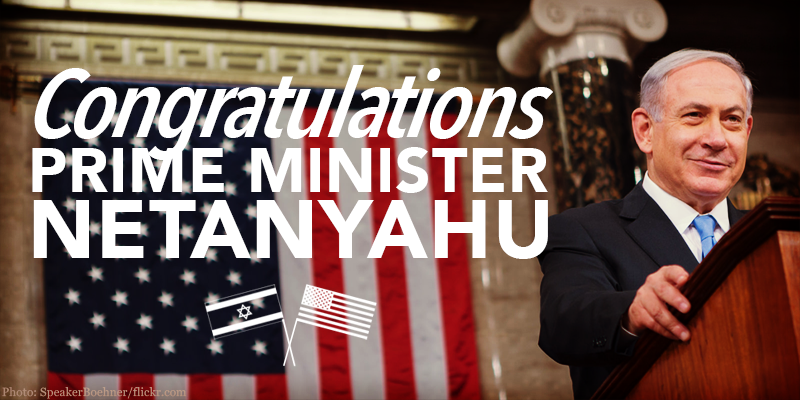 Congratulations, Prime Minister Netanyahu. Thank you to the good people of Israel for supporting a leader who will stand up and fight for all the free world while other leaders sit down. The Heartland of America will sleep better knowing Bibi remains the voice of reason and strength in the beautiful nation of Israel; for when Israel is safe, we are safe. We at SPIB join Governor Palin and many others who love Israel in congratulating Prime Minister Netanyahu on his reelection. The closeness of the exit polls had many of us worried that a left-leaning politician could take office who could be manipulated by the Obama administration to give up more of Israel’s land, a move which would have greatly endangered Israel. In fact, Obama had dispatched his former campaign officials to make that happen and even funded one of the participating entities through State Department grants. However, Obama and his henchmen were no match for Israel’s God, who delivered the Israelites out of the hands of Haman and has given them many victories in battle in both recent and biblical times. 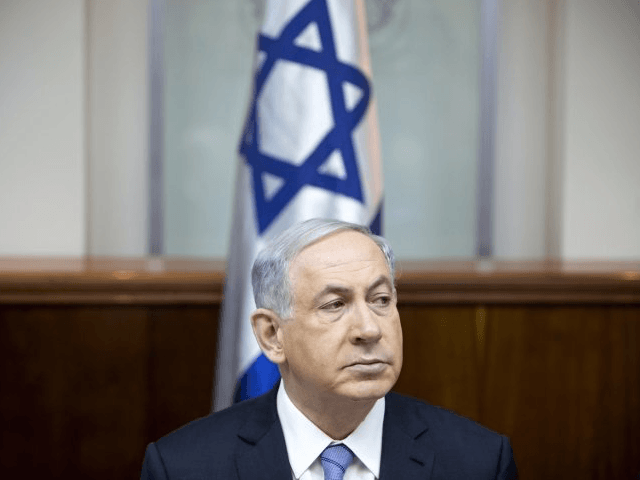 There has been much speculation about how such a resounding victory could happen after polls just before the election were showing Netanyahu losing ground. Some have credited it to a shift to the right when he promised there would be no Palestinian state. What he actually did was align himself with God’s plans for Israel and the Abrahamic covenant in which God set the boundaries of Israel. Perhaps that is what God was waiting for before He stepped in to enable Bibi to achieve such a decisive victory out of near defeat. Hana Levi Julian at The Jewish Press writes about Prime Minister Netanyahu’s trip to the Western Wall immediately after his victory announcement. 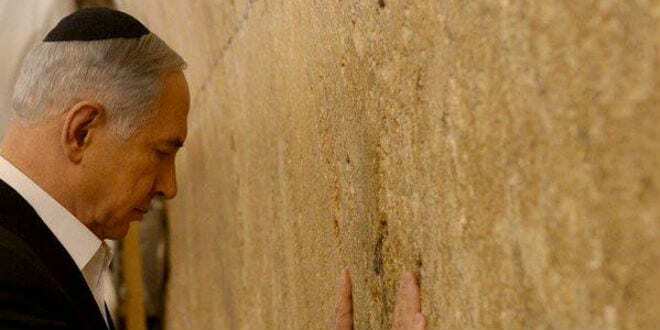 Prime Minister Binyamin Netanyahu prays at the Western Wall. Photo Credit: Yonatan Sindel / Flash 90 Prime Minister Binyamin Netanyahu took his family and went straight to the Western Wall in his first post-election public appearance Wednesday to say a prayer of thanks for the resounding victory of his Likud party. Ben Shapiro at Breitbart News writes about the lessons that American conservatives can learn from Netanyahu’s leadership.
.@netanyahu‘s clear victory is a testament to his formidable leadership despite what many news outlets tried to paint prior to the election. 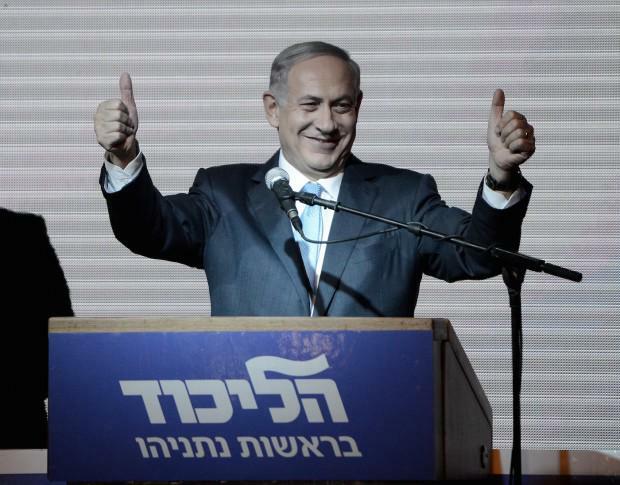 The Israeli people have spoken and re-elected PM @Netanyahu. Let’s pray as the Bible instructs—for the peace of Jerusalem (Psalm 122:6). Why is Pres Obama not making the congratulatory call today to PM Netanyahu? 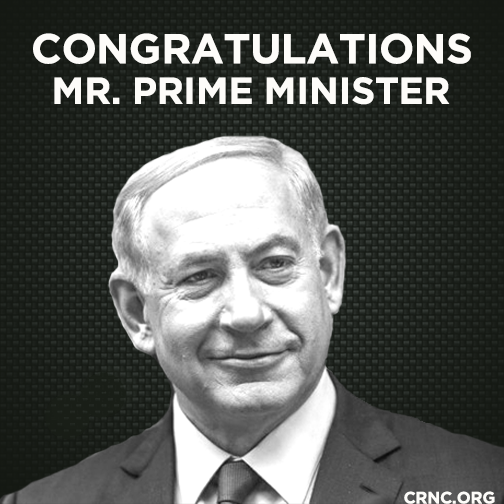 College Republicans congratulate Mr. Prime Minister @netanyahu on his re-election! Netanyahu wins. Obama loses. The Lord is good. Concerning the @netanyahu victory and the Obama defeat, thank God — literally. Retweet in support of an undivided Jerusalem! This is a great victory for our nation. I’m proud of people of Israel who in the moment of truth knew what was important. @netanyahu The world is safer with this election victory. @netanyahu Mr Prime Minister, congrats on a huge victory in spite of @BarackObama operatives unprecedented interference in this election!! And last, but not least, here are two celebrity videos endorsing Bibi Netanyahu that were released just before the election.